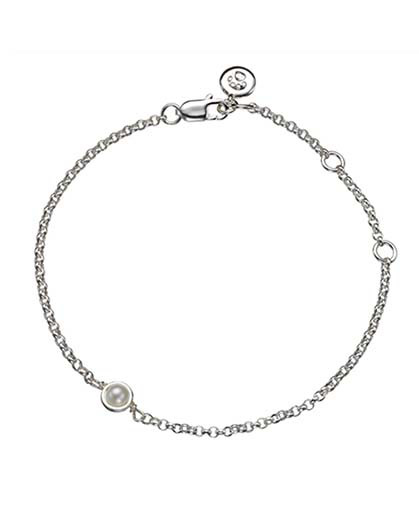 June Birthstone Bracelet from Molly Brown's classic Birthstone Collection. 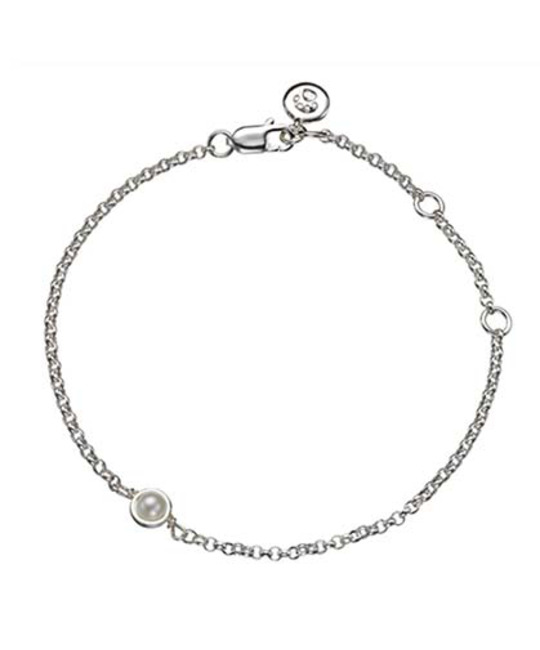 A beautiful lustrous freshwater pearl set in a sterling silver open back claw. The bracelet measures 19cms and is adjustable at 15cms and 17cms to fit most wrist sizes. Birthstone jewellery is a personal and thoughtful gift, and this simple and yet sophisticated design makes a perfect Christening gift or birthday gift. SILVER CARE: Polish with soft cleaning cloth. Best stored in a plastic sealed bag, to avoid exposure to oxygen and moisture.